The government launched a £1.6 billion fund 4 March 2019 to boost growth and give communities a greater say in their future after Brexit. The Stronger Towns Fund will be targeted at places that have not shared in the proceeds of growth in the same way as more prosperous parts of the country. It will be used to create new jobs, help train local people and boost economic activity – with communities having a say on how the money is spent. To be launched this year, the fund is part of the government’s commitment to build a more prosperous economy that works for everyone. A total of £1 billion will be allocated using a needs-based formula. 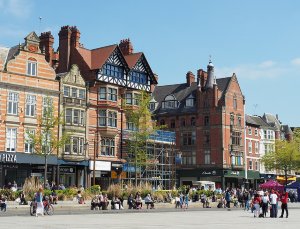 More than half this share (£583 million) will go to towns across the North with a further £322 million allocated to communities in the Midlands. Communities will be able to draw up job-boosting plans for their town, with the support and advice of their Local Enterprise Partnerships. Another £600 million will be available through a bidding process to communities in any part of the country. Local communities will be encouraged to come together to draw up proposals to restore pride and create new jobs in their area. The government will also seek to ensure towns across Wales, Scotland and Northern Ireland will benefit from the new funding. This will build on the success of the government’s City and Growth Deals initiatives. Announcing the Stronger Towns Fund, Prime Minister Theresa May said: ‘For too long in our country prosperity has been unfairly spread. Our economy has worked well for some places but we want it to work for all communities. Communities across the country voted for Brexit as an expression of their desire to see change – that must be a change for the better, with more opportunity and greater control. These towns have a glorious heritage, huge potential and, with the right help, a bright future ahead of them’.